Most girls have an idea of what their dream engagement ring will look like by their early to mid twenties. You have seen friends get engaged and checked out what they are rocking on their ring fingers, having picked apart what you like and what you don't. Are you a classic solitaire kind of girl or are you open to more unique rings? As we tend to do, let's take a look at celebrities colored engagement rings and maybe that will give you a better idea of what you like. The most memorable colored ring for me is that of Jennifer Lopez during her short engagement to Ben Affleck in 2002. The 6 carat pink diamond was breathtaking, not only because of its size (it was reportedly worth $1.2 million) but it broke the classic engagement ring style yet seemed to fit her perfectly. The most notable colored ring as of late is that of princess-to-be Kate Middleton. 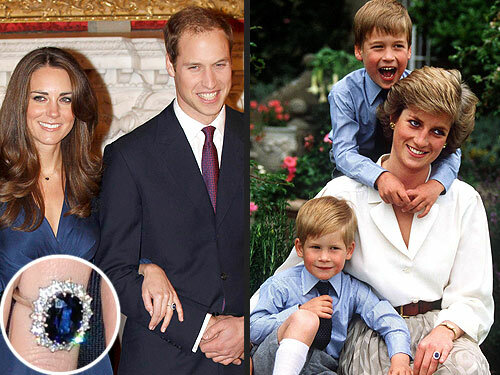 Her sapphire stunner was the engagement ring of Prince William's mother, Princess Diana, which shows that colored rings have been in style for at least 30 years. Jodi Sweetin of Full House fame recently got engaged and is rocking a sapphire ring as well. 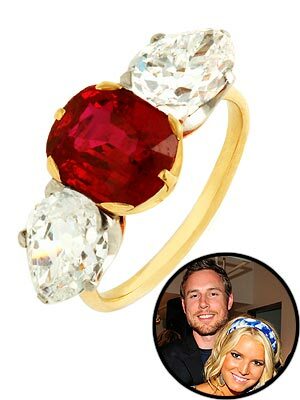 Jessica Simpson's December engagement brought her a ruby ring complete with two white side diamonds. 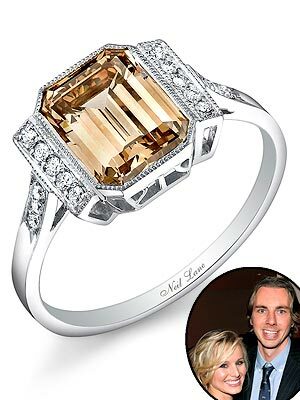 Kristen Bell's fiancé certainly wanted her engagement ring to stand out, it is a yellow colored stone surrounded by white diamonds. 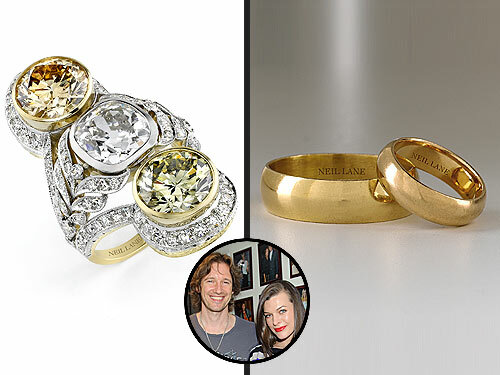 And sometimes it is nice to have a truly unique engagement ring paired with a classic wedding band, like Milla Jovovich has on her ring finger. 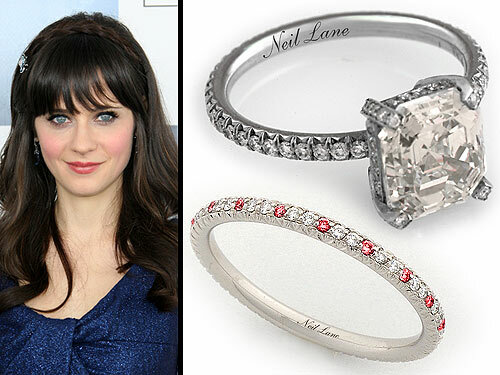 But colored stones aren't just for engagement rings, Zooey Deschanel has rubies alternating with diamonds on her wedding band. Obviously celebrities have a much larger bank account with which to purchase these engagement rings. But if you really like a certain gemstone, maybe your birth stone, don't be afraid to incorporate in the most important piece of jewelry you will ever own. Enjoy! Yes these Engagement Diamond Rings are a reminder of past cultures.